Updated Wednesday October 19, 2016 by MDYB. Calling all young ladies!!!!! 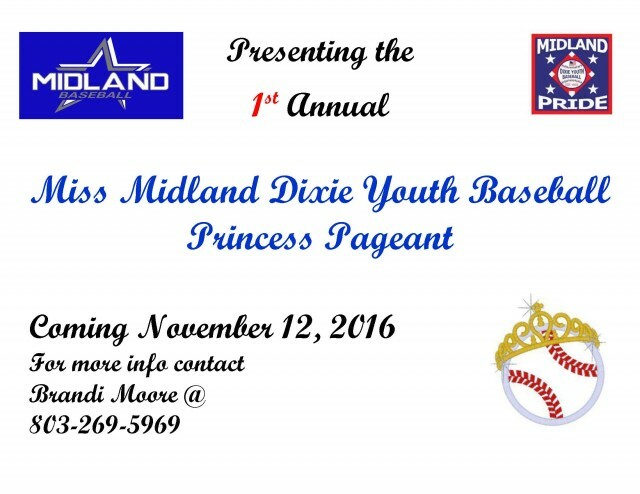 We will having our 1st Annual Miss Midland Dixie Youth Baseball Princess Pageant November 12,, 2016. Please pass this on to your family, friends and neighbors.